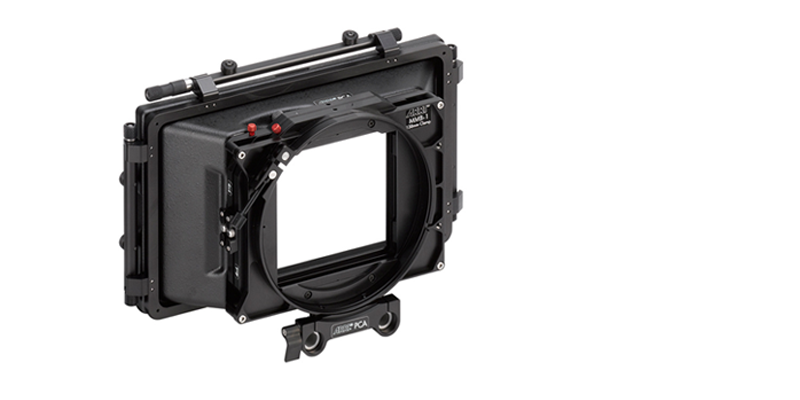 Originally designed for the unfortunate 5" x 6" size filters, but with 4" x 5.65" filter frames, becomes a mid sized studio matte box that accepts all R1 filter rings. An updated version of the MB-12 also originally designed for the unfortunate 5" x 6" size filters. 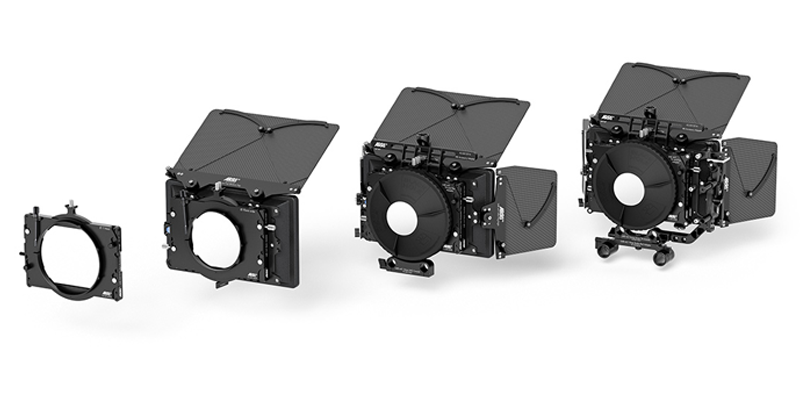 But with 4" x 5.65" filter frames, becomes a mid sized 2 stage studio matte box that accepts all R1 filter rings. 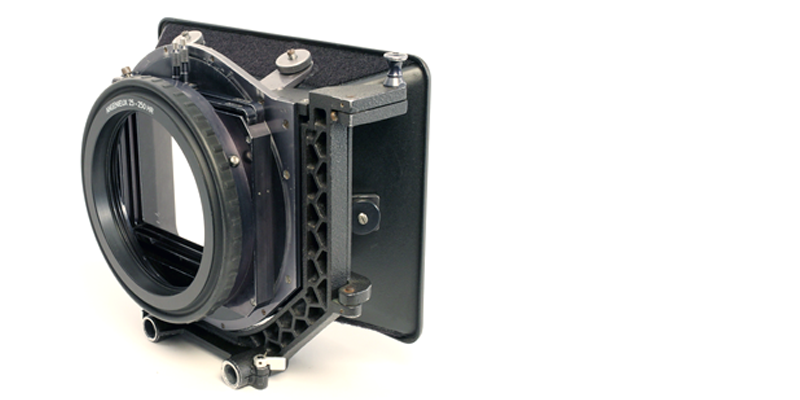 The MB-19 has a filter stage for two 4" x 5.65" filters. The front filter can be pushed through vertically, the rear filter can be displaced horizontally and additionally rotated. The filter stage is fitted with a rear receptacle for 138mm R2 filter rings. From a single-filter configuration for gimbals, drones or Steadicams to clamp-on versions up to rod-mounted solutions, the LMB 4x5 makes short work of challenging situations. 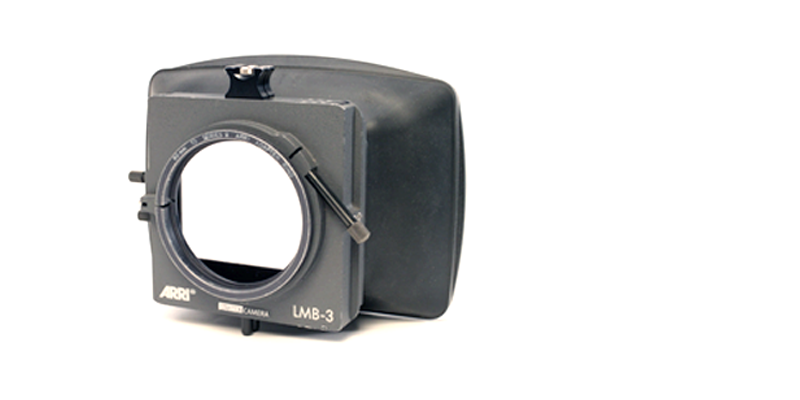 The LMB-25 is a clamp-on matte box with 2 or 3 4" x 5.65" or 4" x 4" filter stages. Can also be adapted to accept R2 filter rings and a LWS console. 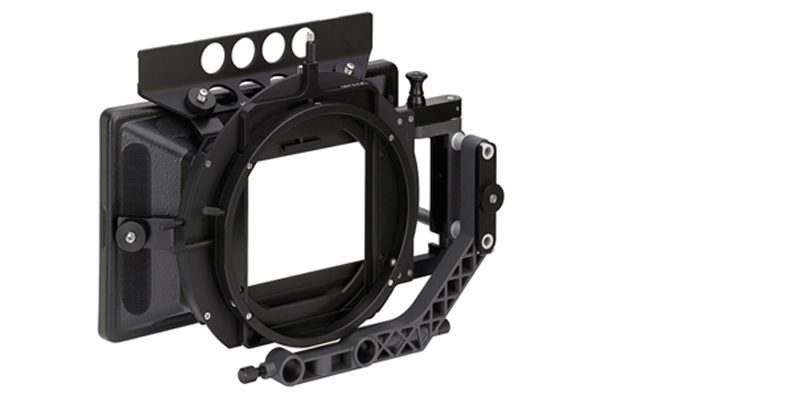 The ARRI MMB-1 is designed for use with smaller HD camera bodies. The rear stage can be rotated and it can be supported on LWS rods or clamped onto certain lenses. A clamp on 2 stage 4" x 4" matte box with a removable rubber sun shade. For 80, 83 and 87mm diameters only. Designed for 16mm cameras. Accepts (2x) 4" x 4" or 4" x 5.65" filters in a rotating stage with a 4½" filter ring. 15mm studio rods only.